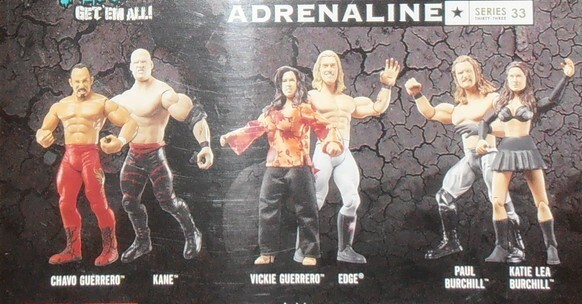 WWE Adrenaline is a toy line by Jakks Pacific (2003-2009) for WWE action figures. 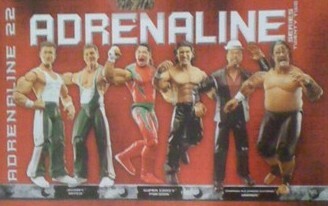 Sizes typically range from 6 3/4" to 7 1/4". 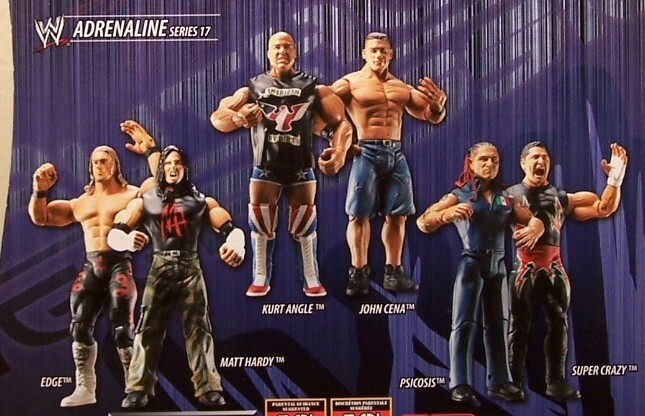 Larger characters, like Big show and The Great Khali, are slightly over eight inches tall. 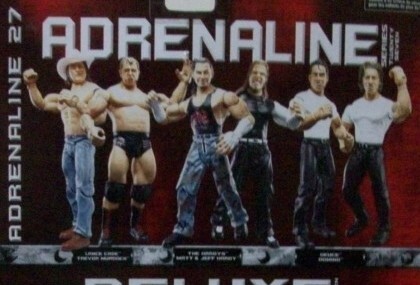 This line was a supplement to the Ruthless Aggression line and saw figures in the same body style. 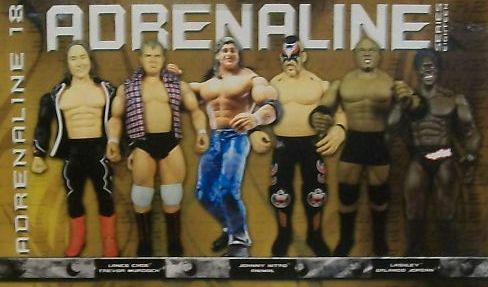 The first series included many first time releases, including the now super-rare Jeff Hardy. 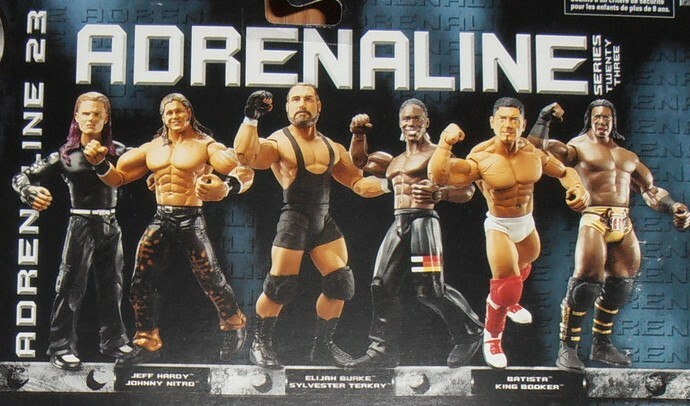 Adrenaline lasted until Series 39, alongside the Ruthless Aggression line until December 31, 2009 when Mattel took over the WWE license.